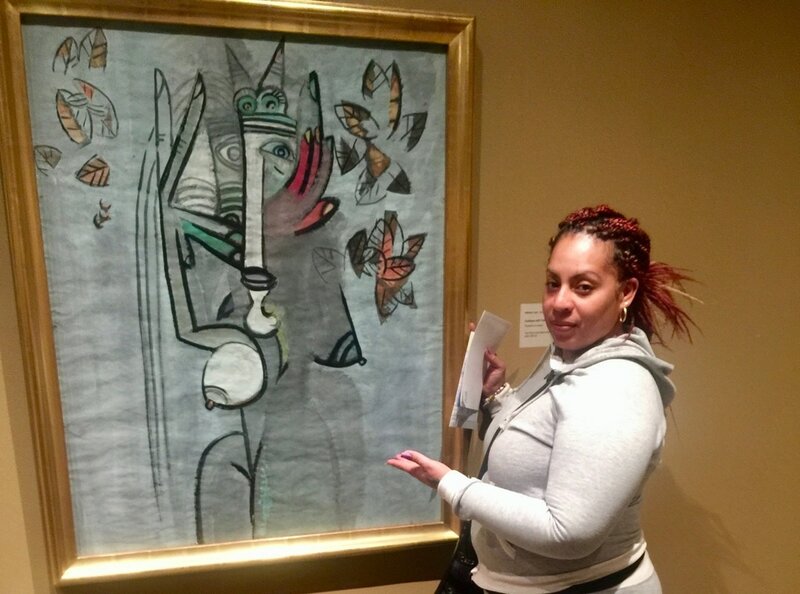 Components of African, Cubist, and Surrealist craftsmanship appear to be mixed in this vast, crossover figure painted in gouache and named “Goddess with Foliage,” by the Cuban craftsman Wifredo Lam at the Metropolitan Museum of Art in Manhattan. Lam was an Afro-Cuban artist best known for his extraordinary Surrealist, tasteful art which consolidated European creative developments with the symbolism of his native country. 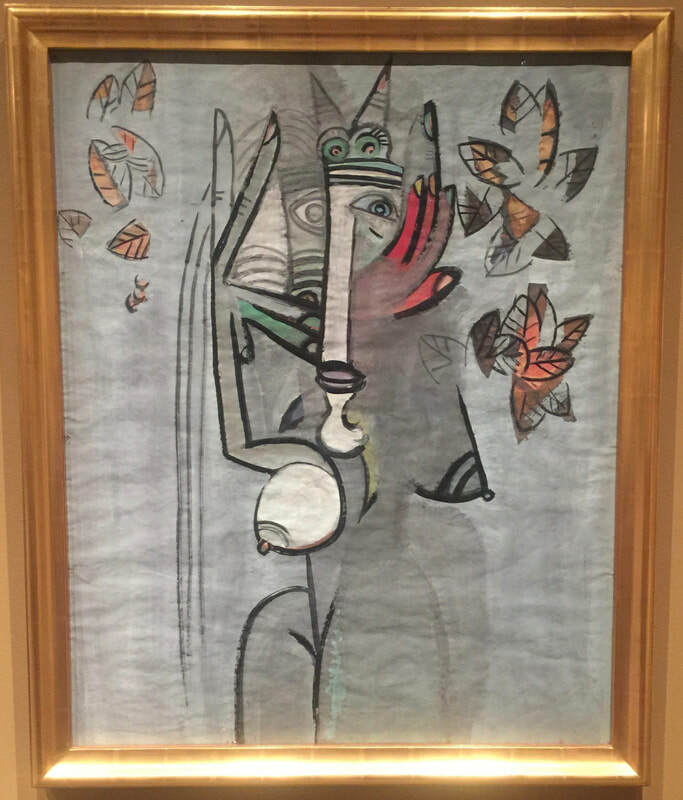 Although born in Cuba, he studied in Europe for 18 years, first in Spain and later in Paris, where he synthesized African art, Cubism, and Surrealism and where he befriended artist Pablo Picasso and poet André Breton, the founder of Surrealism. In 1942, Lam held his first U.S. art exhibition, also named “Goddess with Foliage.” In it, Lam depicted and resuscitated the persevering Afro-Cuban soul and culture. He did this by combining human, plant, and animal elements. His large figures have pointed ears, huge plant-like hands, a horse’s snout, fruit-shaped breasts, etc. He created a one of a kind style, which was often portrayed by half-and-half or hybrid figures. Lam is celebrated mostly for his uniqueness in combining Surrealist and Cubist methodologies with symbolism and images from the Afro-Cuban religion known as Santeria. Lam was born in Cuba, as Wifredo Oscar de la Concepcion Lam y Castilla on December 8, 1902 to Yam Lam, a Chinese immigrant, and to Ana Serafina Castilla, the descended from a Congolese freed slave and a Cuban mulatto. He grew up among people of African descent in Sagua La Grande, a town in the sugar cultivating area of Villa Clara, Cuba. His family practiced Catholicism in addition to African customs. Although Lams’ initial artistic creations were more traditional Spanish paintings, his work soon turned out to be more streamlined and decorative, and more reflective of his mixed ethnicity. Throughout Lam's journey, he showed compassion for laborers who still reflected the struggle of slaves. He believed the descendants of slaves were being mistreated and that Afro-Cuban culture was being disrespect and belittled. Lam believed that Cuba was in danger of losing its African legacy and along these lines, looked to free them from social enslavement. He was a champion of Afro-Cuban culture, which he believed was spoiled by tourism and suppressed by the Cuban government.